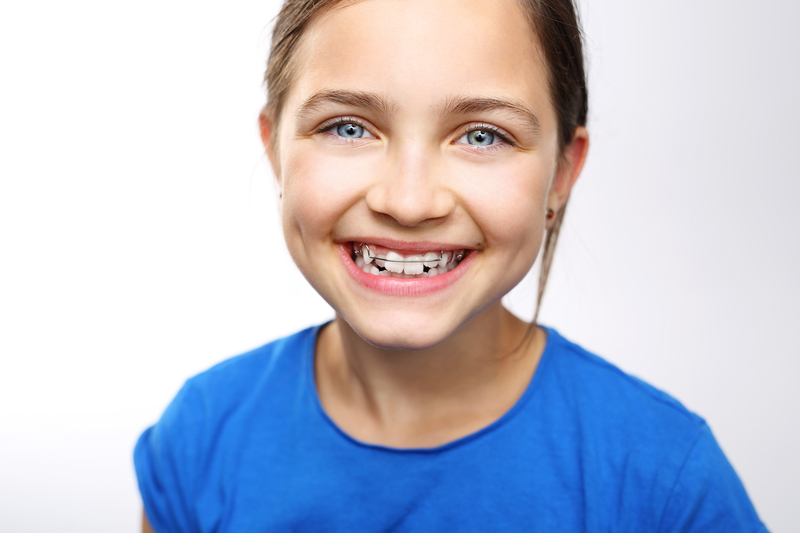 Most patients spend 18-24 months with their orthodontic appliances. That’s about 78-104 weeks of your life with braces, and time that you don’t want to have wasted. The worst thing that can happen after getting your braces off is that your teeth go crooked once more. This can happen within the first month if you’re not careful. Luckily, dentists know this and we provide our patients with either removable retainers or permanent ones. See why retainers are so important for maintaining a straight smile for life and why you need one! If you have gotten to the point in your orthodontic treatment that you need a retainer, congratulations! It has taken you 18-24 months to get that beautiful, straight smile you’ve wanted. No matter if you had lingual, ceramic, or metal braces, or if you opted for Invisalign treatment, you will still need an orthodontic appliance to keep your teeth straight. This isn’t something you want to wait on either, as studies show that your teeth start shifting back to their crooked state within the first month of getting braces off. When our patients end their time with braces, we immediately prep them for either a removable or a permanent retainer. 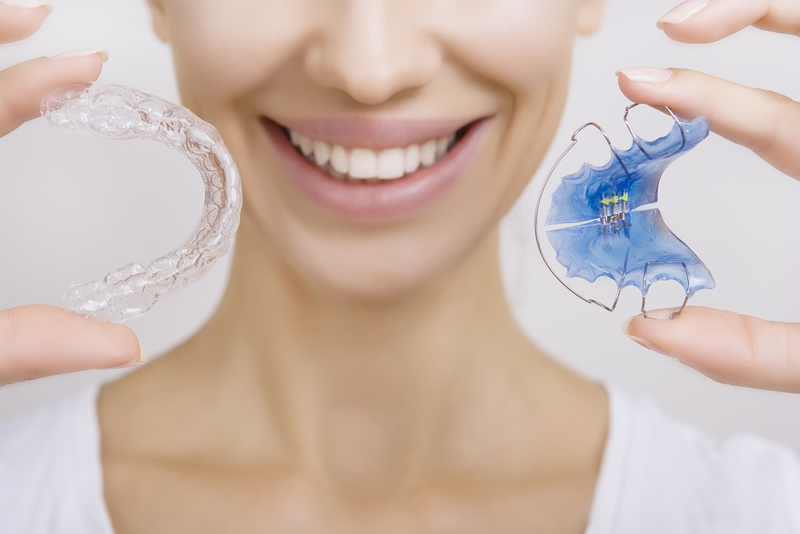 There are pros and cons to each of these types of retainers, but the bottom line is, you need one! A retainer is exactly what it sounds like; it “retains” your straight smile. When you wear it (usually at night), your smile won’t shift or become crooked. We take an impression of your teeth as soon as your braces come off, which we then send to our lab. You will have a retainer custom-made to fit your newly-straightened teeth that will keep them in that position for decades to come. You may need both a bottom retainer and a top one, or you might just need one. Some dentists only require a bottom retainer, as the bottom teeth tend to keep the top teeth in place. It all depends on the patient. As we mentioned, there are two types of retainers: removable and permanent. Removable – These are the classic retainer pieces that most people think of when they think “retainer”. When we make impressions of your teeth, we go back and use those impressions to make retainer pieces for your top and bottom jaw. Once they are done, you will come into the office and try out your new retainers. Wear them every day during the night and clean them when you take them out in the morning. Only use cleaning products that are safe for mouth retainers and never use hot water when cleaning. Permanent – This is also a “fixed” retainer because it is bonded to your teeth and set in place. Much like your braces (if you chose ceramic, lingual or traditional metal), we will bond metal parts to your teeth. However, these metal parts will be placed on the back of your teeth instead of the front. You can choose to have a metal bar that goes across the back teeth or you can choose small metal wires that will bond each individual tooth to the one next to it. If you choose the second, you will have the bottom 6 teeth connected, with bonding cement on each of the backs of those 6 teeth. However, the metal and bonding is small, so it won’t take up very much room in your mouth. You may not even notice it! Both the bar and series of small wires work to keep your bottom teeth in place, which will keep your top in place. Our patients can choose if they want to have a removable or permanent retainer. One might not be right for a patient depending on age and daily habits. If you often lose things (such as car keys or your phone), then you might want to choose a permanent retainer. These stay in place 100% of the time and because of that, you can never lose them. Plus, they retain your teeth around the clock, instead of only at night (like a removable retainer). Permanent retainers also aren’t visible like removable retainers are because they are attached behind your teeth. A removable retainer will have visible bars that others will be able to see in your mouth when you show your teeth. This generally isn’t a problem, as most people wear theirs at night. If you already struggle with brushing and flossing your teeth, you might opt for a removable retainer, as flossing can be more difficult with a permanent retainer. However, both options are great for all our patients. You simply have to choose which one fits you best. We would love every single one of our patients to have a straight smile many decades from now. If you wear your retainer like you should, or continually renew your permanent ones, you can count on keeping that straight smile. However, you also want to keep your smile healthy and free of disease throughout all those decades. After all, there is no point in striving for a straight smile if you don’t have any teeth! No matter if you are 9 or 90, you have to keep up on proper oral hygiene practices if you want to have a healthy, beautiful smile. Brush and floss your teeth every single day, making sure to brush multiple times a day. Eat nutritious foods and cut down on the sugar to reduce your risk for tooth decay and gum disease. Also, clean your retainer every day so that it stays strong and durable for many years. If you need a new retainer, or are interested in a permanent retainer option, call Belmar Orthodontics today at (303) 225-9016! A straight smile is something that millions of people strive for. In fact, more than 4.5 million Americans wear braces each year to achieve that straighter smile. Not only are there aesthetic benefits of a more beautiful smile, but a straighter smile also helps you to avoid oral health issues. For children, we can correct bite and alignment problems that make biting, chewing, speaking, and breathing difficult. For adults, we can correct these issues as well as make the permanent teeth straight. This can be done through traditional metal braces, lingual braces, clear ceramic braces, and Invisalign transparent aligners. Once you have a straight smile though, you must take care of your oral health to keep that smile straight. We can help you to know the benefits of a straighter smile and how you can keep it straight throughout life! In ages past, straightening your teeth was much more difficult than it is today. Instead of only offering traditional metal braces, we give our patients several orthodontic options to get that straight smile they’ve always wanted. Traditional metal braces are still the economical and most popular option amongst patients. This is the tried and true method of achieving a straight smile, and is what most people think of when they picture braces. This design consists of metal brackets attached to the front and center of every tooth, where an archwire will go through each bracket. At each appointment, this wire is adjusted and the teeth get straighter and straighter. 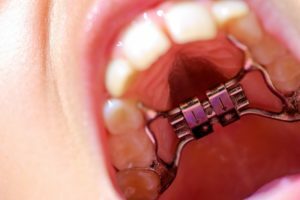 Lingual Braces – Think of these braces as metal brackets attached to the inside of your teeth. They are generally more gold in appearance and instead of a bracket attached to each tooth, there is a custom-made metal piece attached to the inside of each tooth. There is a bracket and a wire just like with traditional metal braces, but the entire appliance is on the tongue-side of your teeth. This option is great for teens and adults who want a straight smile without people seeing their appliance. Clear Ceramic Braces – Made of ceramic material, these brackets and archwire actually help to decrease demineralization that can happen with braces. 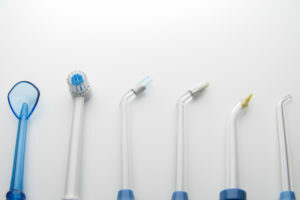 Ceramic material is naturally white, so we can blend your brackets (and even the archwire) into the color of your teeth. This is a great option to have the functionality of metal braces without them being very noticeable. Invisalign – This is a series of transparent aligners that have become increasingly popular over the last decade. We custom-make transparent aligners that you change out every 1-2 weeks. These aligners slowly move the teeth into a straight smile over time and take about the same amount of time to straighten as metal braces do. Teens and adults alike love Invisalign because you can straighten your teeth invisibly. You also have the freedom to remove the aligners to clean your teeth, eat, drink and play sports. Over 4 million people wear braces each year. Those patients will typically spend between 18 and 24 months achieving a straight smile. However, all is not done once those braces come off. We provide every patient with a retainer after their braces come off. You need to commit to wearing your retainer to maintain a straight smile throughout life. 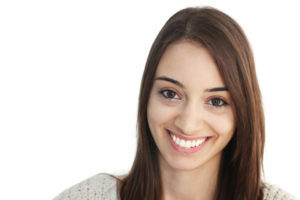 We custom-make a retainer after taking an impression of your teeth once your braces come off. Wear this retainer around 16 hours each day. That means throughout the night and for part of the day. Remove them when you eat and make sure to clean your retainer thoroughly with warm water and hand soap only. If you have a removable retainer, make sure to keep it in its secure case so that it is not damaged or warped in any way. 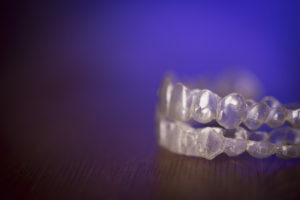 If you don’t want to have to worry about wearing your retainer enough or if you lose your retainer easily, you should consider getting a permanent retainer. These types of retainers consist of metal wires that are attached to the inside of the front teeth. They can be attached on both the bottom and top teeth or just the bottom teeth. These types of retainers last for years and can maintain your straight smile for many years to come. Wearing your retainer is highly important for keeping a straight smile. Without it, your teeth can begin shifting within the first month of your braces coming off. A major part of keeping your teeth healthy and strong (if not the most important part) is to keep them healthy through proper oral hygiene. Many patients know that they should brush and floss their teeth to keep them healthy. Many patients also think that losing teeth with age is inevitable, but it’s not. There are many people that keep their teeth for their entire life because they take such good care of those pearly whites. The American Dental Association recommends brushing your teeth at least twice a day. This is a minimum recommendation, as brushing your teeth after every meal will reduce your chances for tooth decay and gum disease even more. A straight, healthy smile can increase your confidence and self esteem. It can also make you appear more confident and successful, and can help you do better in school and land a better job. There are many incredible benefits that stem from a straight smile. We encourage you to invest in orthodontic care and to retain your straight smile after your braces come off. If you want additional tips for keeping your smile healthy and straight, call Belmar Orthodontics today at (303) 225-9016! Permanent or Removable Retainers–How Do You Decide? You have your beautiful smile, now you need to choose how to retain it–permanent or removable retainers or a combination of both? How do you decide? Don’t worry! Our Belmar Orthodontics team is very experienced at helping our patients choose which method of aftercare will work best for your needs. Patient education is very important to us. We will give you all the advantages and disadvantages of both methods and then you can decide. One thing is for sure, your beautiful new smile will be something you will want to retain–forever! Regardless of the type of orthodontic treatment you receive, following treatment it is necessary to wear a retainer in order to retain your smile. Newly aligned teeth want to return to their former position. They need time to adjust to their new position and into the soft tissue and jawbone that house them. During the first month after your braces are removed, your risk of movement is very high. Teeth can take up to a year to stabilize following treatment. If there were gaps between your teeth prior to orthodontic treatment, your adjustment period can be even longer. The last thing you want is for your teeth to shift after the dedication and expense you have invested in your orthodontic treatment. One of the most common questions we are asked from our patients following orthodontic treatment is how long will I need to wear my retainer. Our typical response is, that you need to wear a retainer for as long as you want your teeth to remain straight. Natural physiological drift happens to all of us as we get older which causes teeth movement. This movement is related to changes to the width of our smiles which narrow as we get older, causing our teeth to crowd. There are many factors that influence how long a patient needs to wear their retainers which we can discuss with you during your post-treatment consultation. 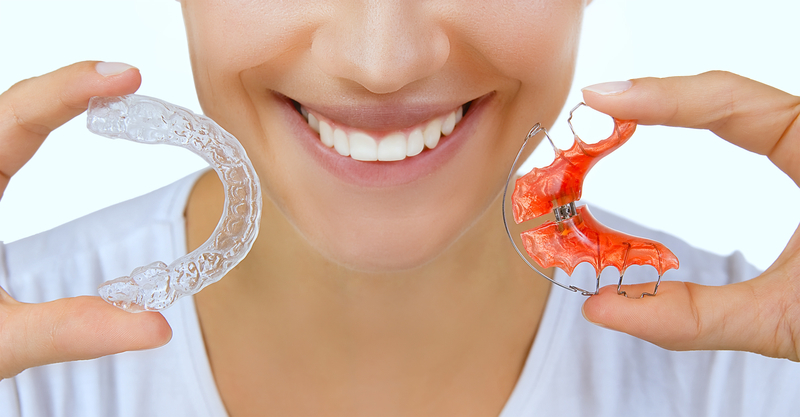 What Types of Retainers Do You Offer? Belmar Orthodontics uses both fixed and removable types of retainers. We work with you to decide which option will fit your needs and lifestyle the best. The two most common types of removable retainers are Hawley and Essix retainers. Both types of retainers are designed specifically to fit the patient’s mouth through dental molds that are taken following treatment. Hawley retainers are stainless steel retainers that are kept in place by a wire that wraps around your teeth and an acrylic arch that rests closely against the roof of your mouth. Essix retainers are an invisible option, made of clear plastic so that they can be worn without anyone noticing. Fixed retainers are just as the name describes. They are not removable, but bonded to the back of some of your teeth to prevent them from moving. The great thing about permanent retainers is that once they are bonded to your teeth you don’t have to worry about removing them, keeping track of them, or altering your diet. Since they are fixed to your teeth 100 percent of the time, you have less chance of your teeth moving back to the position they were in before. The other advantage is that they are affixed to the back of your teeth, invisible to those you interact with. Both types of retainers, fixed and removable, have advantages and disadvantages. Fixed retainers can make flossing more challenging because of the wire obstruction. Floss threaders will be needed for effective cleaning. Food can get trapped more easily behind a fixed retainer so you need to be dedicated to thorough cleaning so that plaque doesn’t have a chance to build-up and cause decay. Being dedicated to making and keeping your scheduled dental cleanings will help you keep those teeth that are bonded to your retainer healthy. 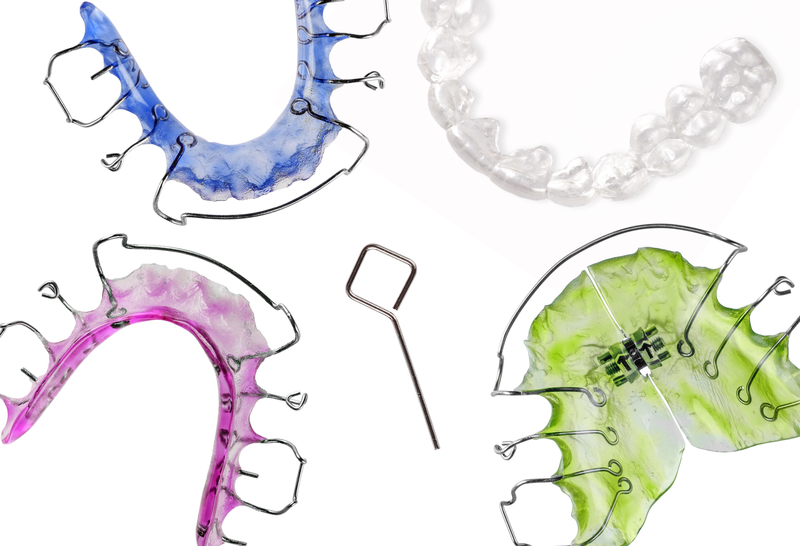 Removable retainers make oral hygiene habits a breeze. With the Essix system, you can still have that invisible look when you are wearing them. But, removable retainers are not for the forgetful! Removable retainers need to be removed before you eat, play sports and other activities which means they can get lost if you aren’t careful. Hawley retainers have a metal wire on the outside of your teeth that is visible to others, so if you aren’t wanting your retainer to be seen, it may not be the option for you. Some patients opt for a fixed, bonded retainer behind the upper teeth and the lower teeth, but then also have removable retainers made to wear when they sleep. This is another option you can choose if you like certain aspects of each system. Again, counseling with Dr. Hardy about the method you are most comfortable with can help with the decision-making process. We will work with you to help you make a choice that is effective yet easy for you to use. The best way to find out how Belmar Orthodontics superior orthodontic technology can help you achieve your goals with your retainers is to schedule an appointment for an in-office consultation. Dr. Hardy can talk with you about your goals and come up with an effective treatment plan to help you achieve them. Contact our office today at 303.225.9016. We are excited to meet you and help you reach your smile goals!